Michael Phillips replicates the etchings of William Blake. Edge of Visibility: A Guide. The catalogue for the Philadelphia Museum of Art’s 2013 exhibition. A previously unpublished lecture from 2003. Historical Perspectives in the Conservation of Works of Art on Paper is the most recent publication in the Getty Conservation Institute’s “Readings in Conservation” series. Like its six predecessors, the text is comprised of a collection of essays and excerpts, all organized into themes that conservators will find familiar. The 96 readings are grouped into eight sections that move from the origins of paper to consideration of the materials and technologies to which it was subjected, to questions of deterioration and repair. Each of these sections is introduced with a short, erudite essay revealing the extensive thought put into what follows. Unlike the earlier publications in the series, this one also includes brief but enriching introductions to the individual readings reminding the reader of details about the author or the circumstances in which the selection was written, often clarifying why the specific reading was included. A supplementary “Further Reading” section provides additional resources for delving into each of the eight, themed parts. 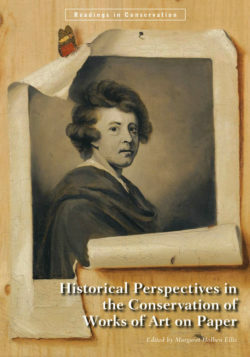 The selected readings offer a panoply of perspectives on every aspect of conserving works of art on paper, from a 131-word observation on the humble origins of precious possessions (Robert Bell’s “Observations Relative to the Manufactures of Paper and Printed Books in the Province of Pennsylvania” ), to a modern theoretical essay on the question of originality in offset lithographs (Johanna Drucker’s “Offset: The Work of Mechanical Art in the Age of Electronic [Re]production” ), to a provocative excerpt from Irene Brückle’s well-known text from Paper and Water: A Guide for Conservators, (“Aqueous Treatment in Context” ), in which the long-term impact of washing a sheet of paper is analyzed. As editor, Margaret Holben Ellis has organized the eight sections in a manner that helps the reader understand materials and techniques before examining theoretical aspects of artwork appreciation and conservation. The first, “The Power of Paper,” introduces the origins and uses of paper, beginning with its ascendancy over parchment in the 15th century. The later readings in the section extol the material’s merits and explore the psyches of papermakers in excerpts from a 16th-century poem and a 20th-century work of fiction. 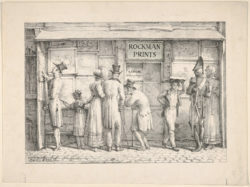 Carle (Antoine Charles Horace) Vernet, François Delpech’s Print Shop (ca. 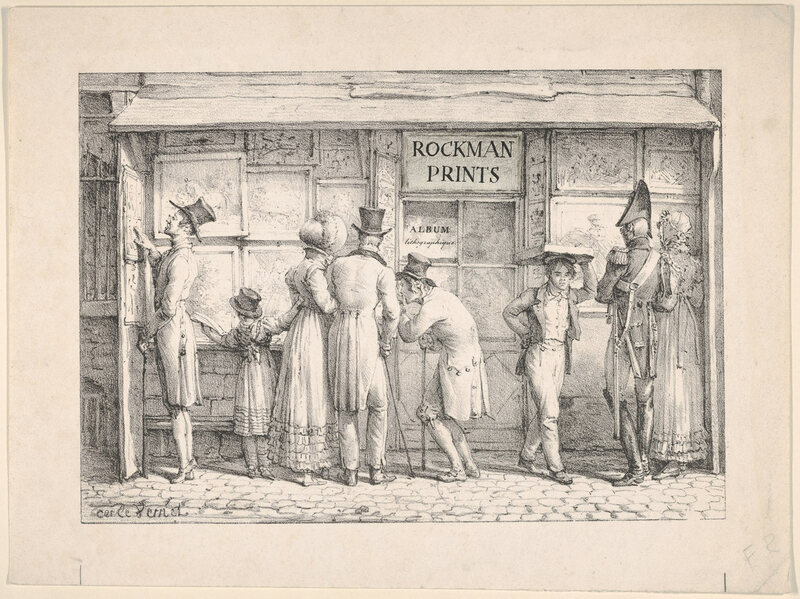 1820), lithograph with 20th-century lettering addition (“Rockman Prints”), image 16.8 x 24.1 cm, sheet 21.9 x 29.3 cm. Collection of the Metropolitan Museum of Art, New York. The Elisha Whittelsey Collection, The Elisha Whittelsey Fund, 1977. Next, “The Mastery of Drawing” explores drawing media—both the materials themselves and the techniques with which they were employed. The readings include Henry Petroski’s well-known “The Pencil: A History of Design and Circumstance” (1990) and Marjorie B. Cohn’s “A Note on Media and Methods” (1970), which focuses on the subtle differences in brown inks that contribute to Tiepolo’s masterful wash drawings. 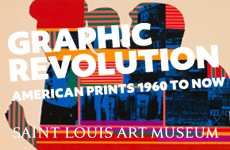 “Printmaking: Multiple Originals” examines the advent of printmaking and its impact on art history as well as the theoretical questions to which it gave rise. Does a multiple merit the same worth and admiration as a drawing? 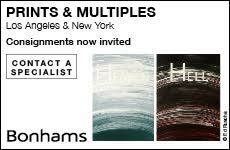 Does the comparative ease of producing printed impressions affect their value? What determines differences in impression quality? 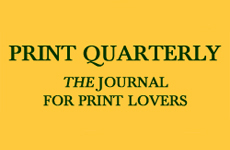 Part IV, “ ‘Paper is Part of the Picture,’ ” returns the reader’s focus to the paper substrate, but broadens the discussion to include the inherent characteristics of paper, both historic and modern: color, texture, format, watermarks and optical properties. The readings compare the viewpoints of paper chemist Heinz Corte, the French nationalist and compiler of industrial status reports J.-S.-E. Julia de Fontenelle and art historian James Harper, among others. “Deterioration and Change: Paper ‘Yellow’d with Their Age’ ” introduces the conservator’s ability to identify both the type and cause of degradation evident in a paper substrate. The readings discuss the physical components of paper pulp and the inevitable cheapening of materials and resulting reduction of paper quality. The later portion of the section focuses on the often well-meaning, sometimes helpful, but occasionally damaging contributions of the scientific community to the field of paper conservation. 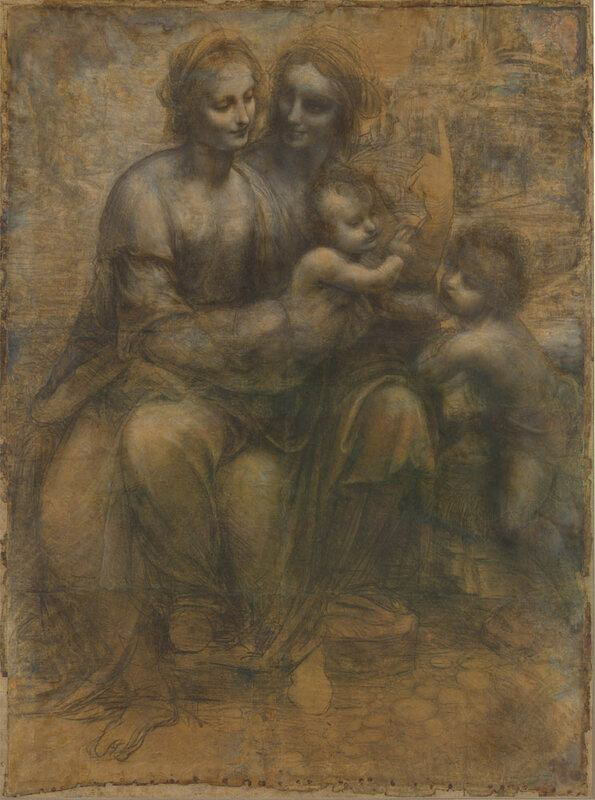 Leonardo da Vinci, The Burlington House Cartoon (ca. 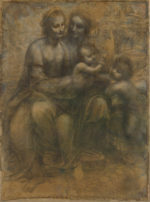 1499–1500), charcoal heightened with white chalk on paper, mounted on canvas, 141.5 x 104.6 cm. Collection of the National Gallery, London. Similarly, “Deterioration and Change: ‘Even in Their Partial Ruin Marvelous,’ ” the readings remain focused on damage—here the vulnerable materials are the media. Those that warrant the most attention are watercolors (sensitive to light) and iron gall ink (chemically unstable). The introductory remarks to Joseph Sidebotham’s “Letters to the Manchester Literary and Philosophical Society” (1877, 1881) refer to one of my favorite anecdotes—the discovery of aniline purple, one of the more fugitive colors in existence, during an attempt to synthesize quinine. “Treatment: Limits and Limitations” is, unsurprisingly, one of the longer sections. Its readings focus on the ethics of conservation and the necessary decision-making process behind treating (or not treating) an object. Does fine art necessitate more intervention than, for example, a document (Irene Brückle’s “The Practice of Looking in Paper Conservation” )? How pristine should a cartoon be made to appear (Chris Caple’s “Conservation Skills: Judgment, Method and Decision Making” )? How does a conservator determine whether or not cleaning a delicate surface is worthwhile (Antoinette King’s “Technical and Esthetic Attitudes about the Cleaning of Works of Art on Paper” )? The last section, “The Paper Conservator: Going Beyond the Bench,” discusses the birth of the field with the 1966 Florence flood, the importance of outreach to current and incoming conservators as well as wider communities, and thoughts on the future of the field. The entire volume is meticulously and beautifully compiled. The readings— some humorous, many serious, all of high academic caliber—reveal Holben Ellis’s comfort with the enormous depth of available material, a remarkable dedication to the care of works of art on paper, and a deep admiration for her colleagues, both historic and contemporary. This book caters specifically to conservators of works of art on paper, though students, conservators of historic documents, book conservators, art historians and collectors are all sure to find material that is enlightening and thought-provoking.